The San Antonio Shootout leaves the Cavaliers on top, but not by much. A new venue and increased participation make for an exciting 2011 World Class Individual and Ensemble Competition. A nine-year drum corps vet contemplates aging-out. And a brand new Time Capsule challenge! 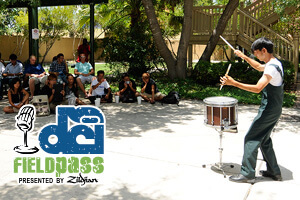 Dan Potter has it all in today's Field Pass presented by Zildjian.